After the information given to Commissioner Mijatović about human rights violations in Turkey, said Yağızay, the delegation asked Europe to act for the prevention of human rights violations. HDP Siirt deputy Meral Danış Beştaş and HDP Europe Representative Fayik Yağızay met Council of Europe Human Rights Commissioner Dunja Mijatović. 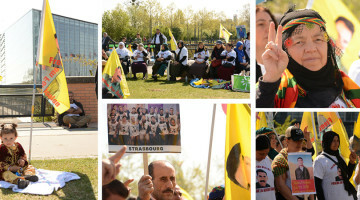 The HDP delegation asked Mijatović to take a stance on the ongoing violation of human rights in Turkey and the hunger strikes in Turkey, Kurdistan and Europe thatdemand an end to the isolation of Kurdish People’s Leader Abdullah Öcalan. Fayik Yağizay talked to ANF about the meeting which took place in Mijatović's office in the Council of Europe. He said that the meeting was “very positive”. 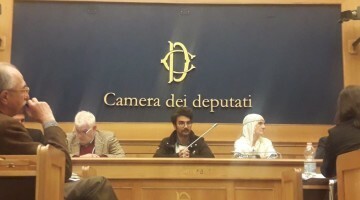 Yağızay added that they had informed the Human Rights Commissioner about the absolute isolation against Abdullah Öcalan and the 71 days hunger strike carried out by HDP Hakkari MP Leyla Güven in Amed prison as well as the hunger strike in the prisons and in Europe and Kurdistan. The HDP delegation also underlined how Turkey is indeed violating both national and international laws and conventions it has signed. According to Yağızay, they also asked the Commissioner to act as the competent authority in calling on Turkey to respect the agreements. At the meeting the HDP delegation also explained the hunger strike initiated by HDP Hakkari MP Leyla Güven and said her health situation is worsening, as the fast has reached day 71. 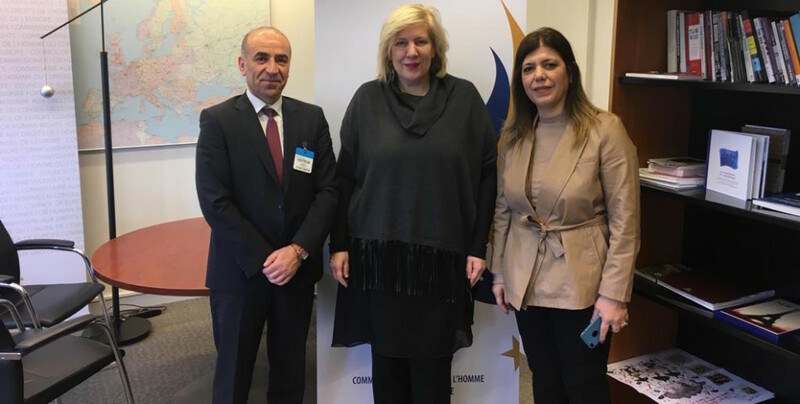 The delegation also reiterated to the EC Commissioner for Human Rights of Dunja Mijatović the need for new negotiations in Turkey and the importance of Öcalan being involved in dialogue to allow the situation in the country to take a turn for the better. The first thing to do, said the delegation, was to end isolation so to stop the hunger strike. Meral Danış Beştaş and Fayik Yağızay also told Dunja Mijatović that the attitude of the European Committee for the Prevention of Torture (CPT) and the European Court of Human Rights was not the correct one, as the two institutions have not delivered. 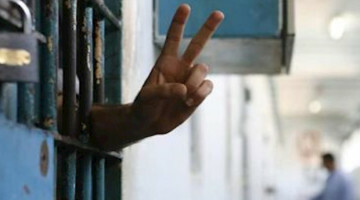 Noting that the CPT is the institution authorized to step in where violations in prisons and isolation are reported, Beştaş said that the failure to take action does not contribute to the reduction of violations against detainees. Furthermore, she said, the European Court of Human Rights’ ruling establishing that Selahattin Demirtaş had to be released came two years after is illegal detention. These delays are actually helping President Erdoğan, said the delegation. After listening to the report by the HDP delegation Commissioner Dunja Mijatović said he had visited Turkey a short while ago and was planning a new this year. Mijatović said that they are trying to prevent human rights violations as an institution and emphasized that these efforts will continue. Mijatović added that Leyla Güven hunger strike had opened the way “to a meeting with Öcalan, albeit brief”.